Celebrating 50 years of UK number one hit singles, the Magic of Motown brings its brand-new 2015 Reach Out tour to town. 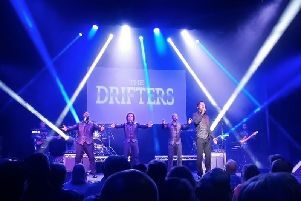 Classic hits from the Temptations, Four Tops, Jackson 5, Stevie Wonder, Marvin Gaye, Lionel Richie and The Supremes are packed into the two-hour spectacular which comes to Sheffield City Hall on October 30. The group, especially put together for the show, celebrate their twelth year together on this tour. In 1965 Diana Ross and the Supremes, Smokey Robinson and the Miracles, Stevie Wonder and the Temptations crossed the Atlantic for a UK-wide tour of ABC, Odeon and Gaumont theatres which began the process of the artistes becoming musical phenomena on these shores. Entries close on Tuesday, October 27.